Spring brings many things to Vero Beach. 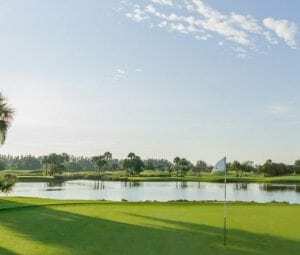 And here, the first Monday in May means the annual VNA Golf-a-Thon at Orchid Island, held by and for the benefit of the Visiting Nurse Association of Indian River County. For over 29 years, golf and country clubs all over Indian River County have hosted this illustrious charity event. Spectators gather to see twelve of the county’s best Golf Club Pros play against each other over 135 holes, all for a great cause. This year is the 29th annual Golf-a-Thon at Orchid Island. And we couldn’t think of a better place, especially when a member of the Visiting Nurse Association Foundation Board, Carole Finck, is a member of Orchid Island as well. “It’s unique the way it pulls the area together, and we’re excited to bring it back to Orchid Island after such a long time,” Finck told us. The original Golf-a-Thon was actually held at Orchid Island, but hasn’t been back since then…until now. The foundation that the Golf-a-Thon benefits, the VNA of the Treasure Coast, has served a specific role in the community for over 40 years. Started by a group of friends who recognized a gap in the quality of home health care that the residents of the county received, the VNA has provided a variety of programs and services for the residents of Indian River County. These include in-home services for those recently discharged from the hospital, regardless of ability to pay, vaccination education programs and vaccination clinics for members of the county, and the construction and maintenance of a physical hospice center – the only one in Vero Beach. In 2018, they performed over 100,000 visits to the homes of those in need. Their work selflessly serves the county in numerous ways. The Golf-a-Thon, and other charity golf events are one of the many ways that the philanthropic-minded members of Orchid Island Golf & Beach Club get involved in their community. In the past, the Golf-a-Thon has raised over $300,000, and this year is expected to be just as successful, if not even more so. “Orchid Island has fantastic members who love to give back to the Vero Beach Community,” Waage told us. For those who want to get close to nature, the Orchid Island Golf & Beach Club amenities are second to none. Orchid Island works hard to preserve a way of life for, not only the natural neighbors who live on the Treasure Coast, but the residents as well. Members and residents also enjoy the convenience of a golf cart lifestyle. Traveling the community via golf cart makes getting to any of the amenities a fun and enjoyable experience, including the West Indies styled private Beach Club, which overlooks a private beach just for residents and their families to take pleasure in. Intrigued by this one-of-a-kind destination? 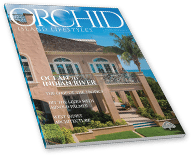 Request the inaugural issue of Orchid Island Lifestyles Magazine here to learn more about this amazing community and how the Vero Beach area embraces its natural wonderland. If you’re in the area, stop by the Orchid Island Realty office and see the community’s beauty for yourself. Call 772. 388.3888 to schedule a private appointment. 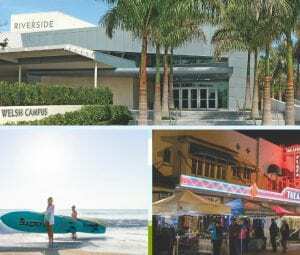 4 Treasure Coast Events You Won’t Find Anywhere Else!